Spurs take a 1-0 first-leg advantage to the Etihad Stadium after Son Heung-min's 78th-minute goal gave them a slender quarter-final lead last week. City have frequently scored early on in games this season and Pep Guardiola's team are expected to revert to type with a high-intensity start, after their more cautious approach in north London came in for plenty of scrutiny. 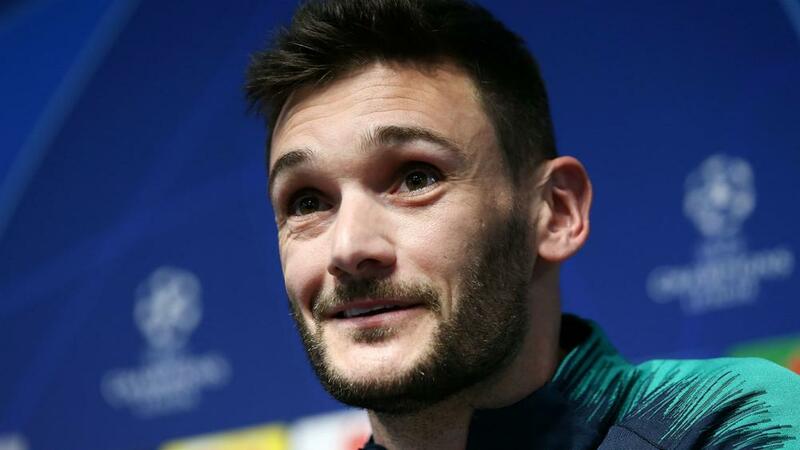 Lloris, who saved a first-half penalty from Sergio Aguero in the initial encounter, does not think this is a reason for Mauricio Pochettino's team to approach the game in a negative fashion. "I don't think it's the only reason because we made such an effort to win this game, but it was a key moment obviously," he told a pre-match news conference, reflecting upon the importance of denying Aguero. "[Wednesday] is going to be a different game. We have a small advantage but everything can turn very quickly. "It is important to come here with ambition, stick with our basics. If we come here with the mentality to score goals it is going to make thigs tough for Man City. "We know we will suffer but it is important we are ambitious." "We know in the Champions League it is important not to concede a goal at home. It can help you for the return game away," he said. "But we know we are facing one of the best teams in Europe, they have a lot of quality in the squad and can score a lot of goals if the opponent shows weaknesses. "One-nil was a good result but we have to forget about that and use it the best way we can. "We need to run as much as we can and finish the game with the impression we gave everything." Nevertheless, Son's strike came after Kane had left the fray and Lucas Moura showed his own goalscoring instincts with a hat-trick as Huddersfield Town were swept away 4-0 in the Premier League on Saturday. "[Kane] is very difficult to replace. The good thing is everyone is ready to help the team," Lloris added. "We have a different profile up front and they are ready to fight. In football it is all about team performance, even if there is an individual performance that can make the difference. "It is important to be strong together. It's important not go too fast. Step by step."